Back in May 2012, 7 Deadly Records presented its fourth release; the pristine “Flush” single from Norwegian producer, Seazo. From then till a couple months ago, I let 7 Deadly sleep. As head of the label I wanted to invest time into the management and execution of future releases when I was creatively, and mentally prepared. It felt right reconnecting with Pressure Suit (Greg Campbell), an individual that I’ve known for several years. Ambienz, and the upcoming 4-track EP (8.24 via Bandcamp), are older productions that I am dusting off and giving a proper release. Where Ambienz Pt. 1 & 2 are more spacious productions, the EP will demonstrate a sharper edge. “tChipz” is a journey through digital space, and into a blippy, transcendent reality. “Glikq” is more of a slow motion groove, still in the dreamy outer-space realm. My recent exclusive mix for Bottom Forty featured “PRSRST”, which is also on the EP. 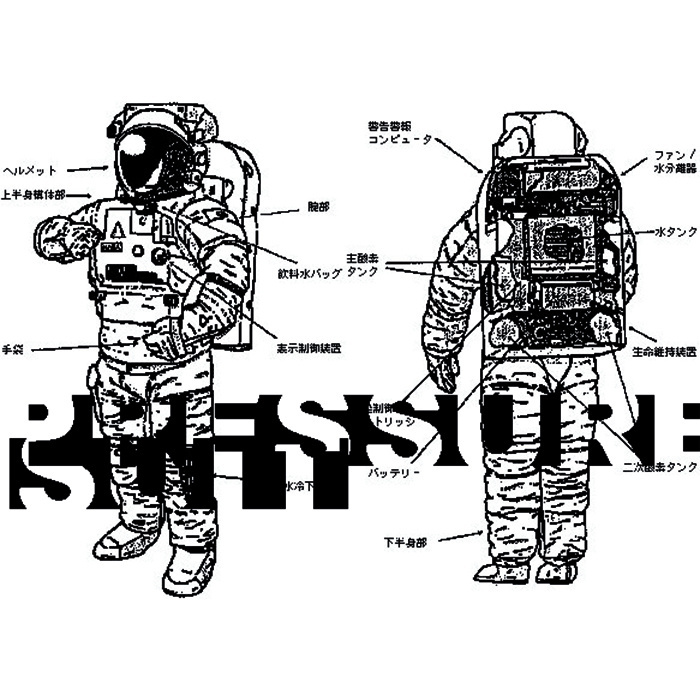 The release ends with a track called “Injin”, drifiting away into the far reaches of the universe. I’m challenging myself to avoid listing genres as much as possible, as I feel the comparisons don’t do Pressure Suit’s unique identity justice. 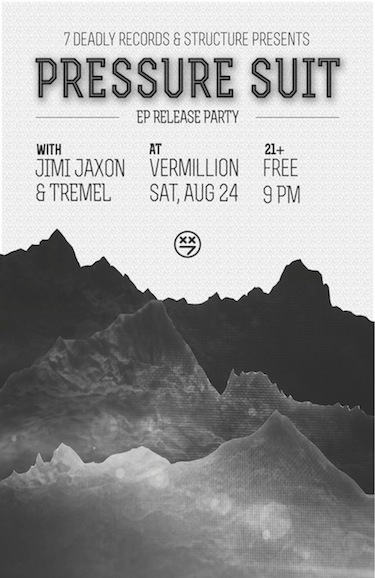 If you want to come celebrate, I am throwing a release party at Vermillion on August 24th (FB Event). It will be presented by 7 Deadly Records and the Structure monthly, with a live audio/visual set from Pressure Suit, and DJ sets from Tremel and myself. Huge thanks to Stephanie Battershell for the wonderful poster design.